FUNDING: How many proposals should you submit? 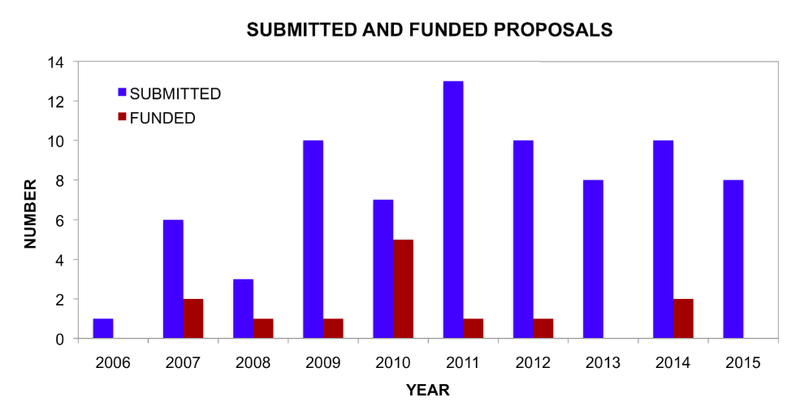 Of the 68 proposals shown in the graph, 13 were funded. This is a 19% funding rate. I was pretty intrigued to see that this rate is on par with the overall EHR funding rate – most of my funding runs through EHR. In 2013-14, EHR funding rates were 17-18%! [Note: To my colleagues in geoscience who claim that I am in a field where it is “easy to get funding” – um, no. For the 2006-2014 time frame, EHR’s highest funding rate was 29%. GEO had a whopping high of 45%. That’s an almost 50-50 chance of getting funded! ]. So, how many proposals should you submit? If you are like me, you need to pay attention to the programs you submit to and submit based on the funding rate. At this time, I can hope to be funded once for every five proposals I submit to EHR. What are the funding rates like in your field?